We should all be grateful for the candidates that fought in the primary election to represent their neighbors in positions of public trust because it demonstrates yet again that the spirit of good citizenship is alive and well in each and every community across the great state and nation. I have come to know the candidates in the Ohio US Senate race well. And, it has been an honor and a pleasure to be associated with them; friendships have been formed that will long endure. The debates were lively as each of us tried to convey why we should be the best nominee to carry the banner forward into the next election. My best wishes to Josh Mandel whose political strategy and tactics belie his often mentioned youthful appearance. And, the sincerity of my best wishes for him in the battle ahead is without reservation. It is the upcoming election in November upon which our attention must now be focused. 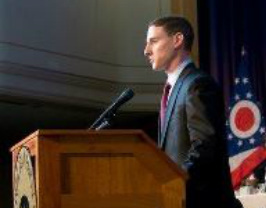 Josh Mandel is an honorable man who has served his country and will do all that must be done to address the problems that today affect each and every American, foremost among our problems is the state of our economy. The lessons he learned on that foreign battlefield prepare him well for the domestic political battleground; mission first, never quit, never accept defeat, and never leave a fallen comrade. The mission is America itself. We expect our standard bearer to focus his attention to the task of returning this nation to prosperity, single-mindedly if need be. And, in this regard there is but one acceptable outcome – victory. There are too many Americans that have fallen on the battlefield of lost opportunity and it is our responsibility not to leave them there. It is time for us to unite, and help carry the policies, principles, and values we hold to be self-evident forward to the benefit of this nation. I will work with the nominee in the fight ahead. The choice could not be in greater contrast. Do we remain a republic with limited government, or do we plunge ever deeper into the grasp of a larger and more invasive government that involves itself in every aspect of our lives? Now is the time for all of us to unite for the good of the country. Again, my best wishes to Josh Mandel.